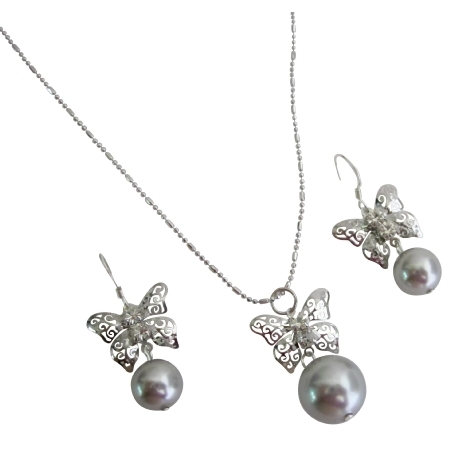 Lustrous genuine Swarovski lite gray pearl & dazzling butterfly pendant & earrings sparkling like real diamond. This wonderful jewelry set that will make you feel extra beautiful on your special day. The perfect choice for wedding prom homecomings or any special occasion!.